Denmark must lead the fight for academic freedom! Higher education institutions need to be critical spaces that lead our societies to be fairer and more democratic. However, many students around the world are persecuted and expelled from their institutions for peacefully fighting for education, human rights, and democracy. This is not acceptable, and it is important that the international community takes a strong stand against it. 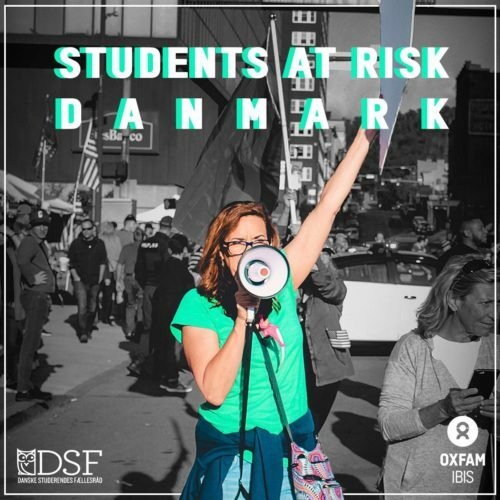 Therefore, Oxfam IBIS and Danske Studerendes Fællesråd call the Government, and all parties in Christiansborg, to support the implementation of a Danish Students at Risk programme. A scholarship programme, which will give persecuted students around the world a chance to finish their education in Denmark, and keep working for a better world. Read more about the program here. Kontakt dsf@dsfnet.dk hvis du har spørgsmål i forbindelse med Persondataforordningen.